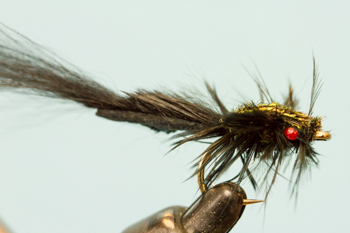 The Rabbit Wiggle Nymph is a nymph that should be in your fly box especially starting in January and continuing through the first part of April. 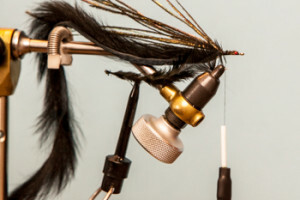 Movement is a great trigger for both Steelhead and Trout. 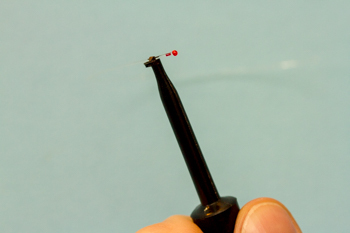 You can fish this pattern dead drift below and Indicator, or swing this fly in riffles or pocket water. Other color combinations that do well are tan, white, ginger, and olive. 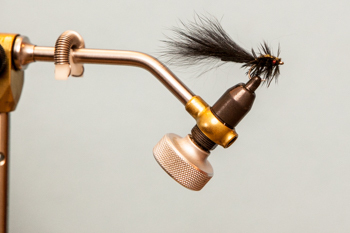 Insert your hook into the vise and attach your thread. 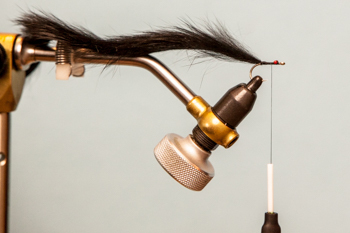 Now tie in your first material a long strip of micro rabbit, or you can substitute it with pine squirrel. 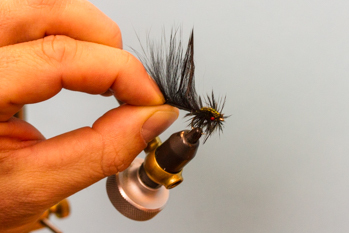 I like to use the whole strip, to maximize the number of nymphs I can tie. 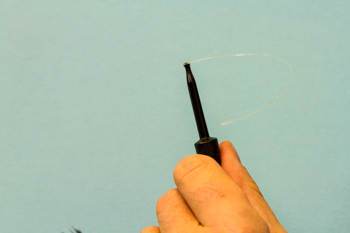 Cutting the rabbit last to judge the tail length properly. Now tie in your American Hen Cape Hackle. 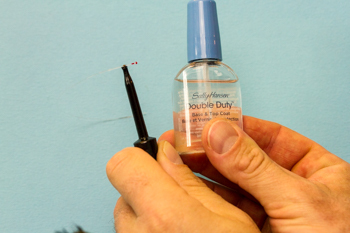 Dub your thorax with the ice dub through the eyes and leave your thread at the eye of the hook. 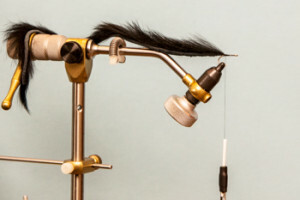 Wrapping the American Hen Hackle forward, making sure to get a little of the webby soft part of the feather near the eyes. 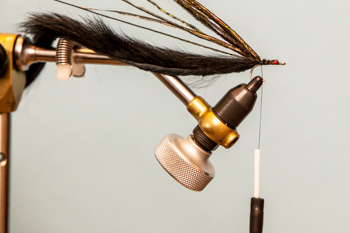 Trim the Peacock Herl and save this part for your next nymph that your going to tie. 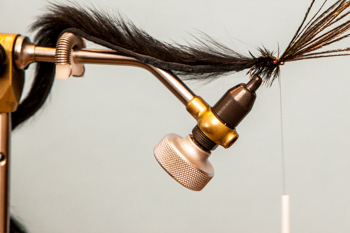 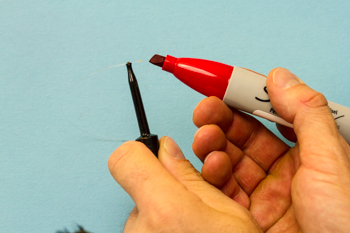 Moisten the hair on the rabbit strip tail and get ready to trim. 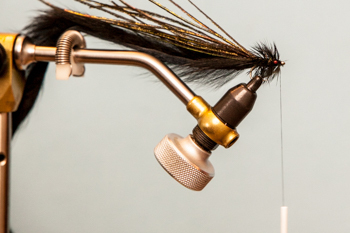 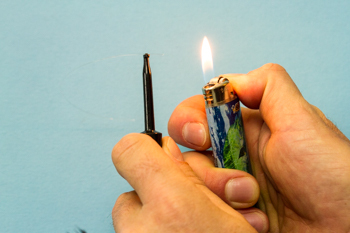 You should be trimming for length and cutting the hair at an angle to give it a gill like appearance providing extra movement in the fly pattern.